DAYTON — The United States Air Force has confirmed it will add a C-17 Globemaster III and KC-135 Stratotanker flight demonstration to the 2019 Vectren Dayton Air Show Presented by Kroger lineup. The 45th annual show will be held on June 22nd and 23rd at the Dayton International Airport. The aircraft will perform separately and together, a first for the Dayton premier summer event. The massive Boeing C-17 Globemaster III is the newest and one of the largest aircrafts in the Air Force inventory. 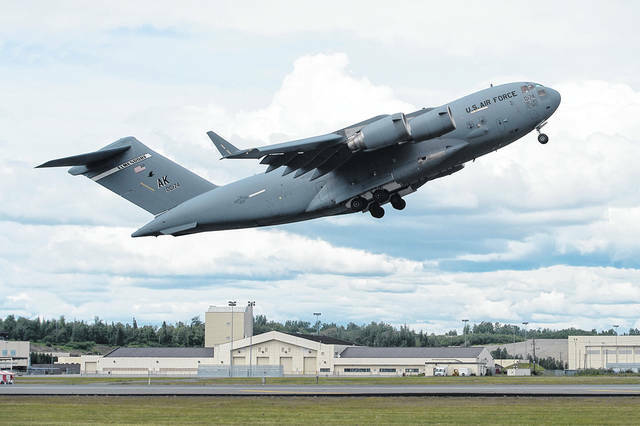 Weighing in at a maximum takeoff weight of 585,000 pounds and flying as fast as 590 mph the 200-foot-long C-17 will show off its impressive aerial capability. The C-17’s primary mission is to transport equipment, supplies and troops around the world. Dayton’s Wright-Patterson AFB is the home base for the 445th Airlift Wing that flies C-17’s. The aircraft last performed an aerial demonstration at Dayton in 2010. The KC-135 Stratotanker is the core aerial refueling aircraft for the United States Air Force and has excelled in this role for more than 60 years. This large aerial tanker provides the U.S. Air Force capability to accomplish its primary mission of global reach. 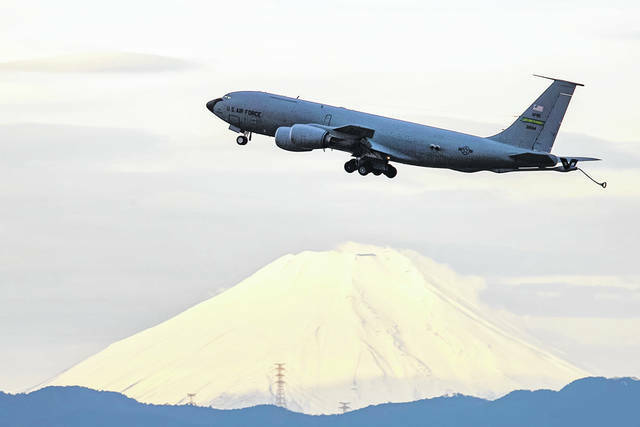 It provides aerial refueling support to all Air Force, Navy, and Marine Corps aircraft. The KC-135 weighs 322,500 pounds. The heavy refueler flies at a speed of 530 mph. The KC-135 has never performed an aerial demonstration at Dayton. The demo aircraft and crews will be traveling to Dayton from the 97th Air Mobility Wing, Altus Air Force Base, Oklahoma. The C-17 and KC-135 will also both be on display so spectators will have an opportunity to tour them and talk with the flight crews. They promise to be a big hit with air show fans. “We are pleased to announce these two big additions to the 2019 show lineup” stated Scott Buchanan, Chairman of the USATS Board of Trustees. “The C-17 is a hometown aircraft. To see it fly at the show alongside the KC-135 will be awesome.” he added. The Air Force C-17 and KC-135 will join a host of other top attractions previously announced including the world-renowned U.S. Air Force Thunderbirds, U.S. Army Golden Knights, British Sea Harrier, GEICO Skytypers, Jacquie B Aerobatics, Team Oracle, Shockwave Jet Truck and Skip Stewart Aerobatics. Air show officials plan to announce other aircraft that will fly and appear on static display during the 2019 feature show in the months ahead. 2019 Vectren Dayton Air Show Presented by Kroger tickets including the popular Pavilion and Blue Sky Chalet specialty seating options and bargain Synchrony Family Four Packs are now on sale at the show’s website, www.daytonairshow.com. Customers can enjoy print-at-home or print-to-mobile options available for website purchases. Beginning May 13, 2019 customers can conveniently purchase discount general admission tickets at area Kroger stores. This Kroger exclusive offers $3.00 off adult and children tickets at over 100 Kroger stores in the Dayton/Cincinnati region. Kroger discount tickets are good for either Saturday or Sunday admission. Visit the show’s website for further information.